We've seen a number of Acer Aspire Timeline products over the past year, and have been impressed by excellent battery lives and mobility. The Aspire 5810TG looks set to continue this, thanks to its CULV components, slim design and a weight of just 2.4kg. The 15.6-inch screen is one of the better options, using LED backlighting to offer vibrant and bright images. It's sharp and the widescreen 16:9 aspect ratio offers more than enough space to view two windows side by side. The keyboard offers an excellent typing action, with large flat keys that are firmly attached. The fact there's no definition to the keys won't suit all users and means you'll have to type precisely, but it's easy to adjust to. The keys also offer a decent travel and are comfortable to type on. The quality of the chassis is excellent and, despite measuring just 31mm at its thickest, it's tough and remains free from flex. It also remains cool to the touch and is comfortable for long periods of use. Materials such as aluminium have been used for the lid, adding a premium feel and helping to keep the weight down, making this a highly portable choice. The ultra-low voltage Intel Core 2 Solo processor is a single-core solution and lags behind the other machines here when it comes to multi-tasking. We found the Acer slow to start up, but this can be helped immensely by uninstalling any of the standard applications that you don't need. Things are a lot more impressive once up and running – aided by 4096MB of high-speed DDR3 memory – and single applications run smoothly and without issues. With every component designed around power efficiency, it came as a surprise to find that the battery life, under test, only lasted for a disappointing 195 minutes. This falls behind all the other Acer Timeline machines we've seen. Unlike previous Timeline products, the 5810TG is also a capable choice when it comes to light multimedia tasks, with an ATi graphics card making light work of high-definition video playback and simple movie editing. That said, look elsewhere if gaming power is high on your agenda. Four USB ports provide connectivity for your peripherals, along with VGA and HDMI interfaces for external displays. 802.11n Wi-Fi and Gigabit Ethernet are also in place, offering the fastest wireless and fixed network speeds currently available. 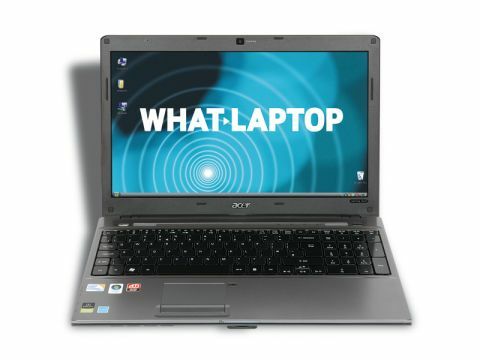 The Aspire 5810TG is a good laptop, that will suit commuters wanting a larger machine. It lacks the power and battery life of the other laptops here, however, although its impressive quality and comfort round off the specification and compensate somewhat.